Over the last couple months we have partnered up with the BBC’s Passport Travel Blog to write about new and interesting things happening in Buenos Aires. Listed here are the posts we have contributed so far. Enjoy! Buenos Aires is one of the most gay-friendly cities in South America, with a tolerant attitude and thriving nightlife scene. For gay travellers to the Argentine capital, one of the best ways to sample the city’s varied nightlife is to spend a night on the Buenos Aires Out and About Pub Crawl. ArteBA — one of South America’s most important contemporary art fairs — is bringing the biggest names in Latin American art to the Argentine capital. La Feria De Mataderos is a weekly fair in the Argentine capital with traditional folk dancing, handicrafts and food, as well as popular gaucho (cowboy) demonstrations. 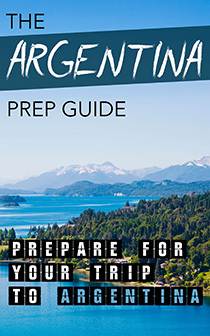 The Argentine capital is well known for its gourmet cuisine, fabulous shopping, frenzied nightlife and top-drawer activities – but when weary porteños (residents of Buenos Aires) wish to escape the commotion of the big city, the town of Tigre and its surrounding delta region make for the perfect weekend getaway. While Buenos Aires is already known for its open-air bars and lounges, there are few options that take advantage of the city’s stunning skyline. Thousands of cyclists from all walks of life regularly gather in Buenos Aires for a communal, organic event that celebrates the joys of cycling and promotes its positive effect on the city. 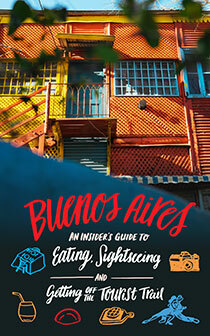 Be sure to continue to check out the BBC’s passport blog to learn about new and exciting things to do in Buenos Aires!